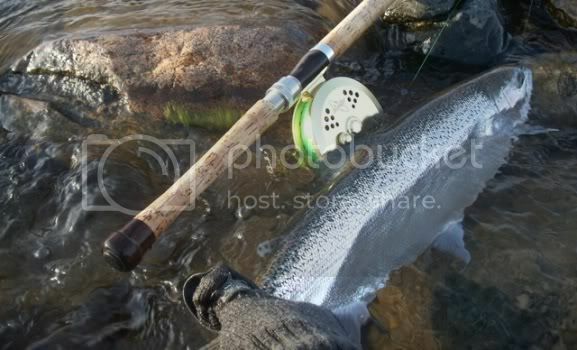 We’ve all done it on the river in pursuit of the mystical steelhead. Pulled our line free from a snag, landed a couple hot chromers, or ran the offering around rocks reeling it up, only to glance at it and think, “It’ll be good for one more fish. DON’T DO IT. Do not be the lazy steelheader that separates the anglers who get fish to hand more consistently than others. This also includes cinching your go-to knot down and noticing it doesn’t look quite right. I know I can get a whole new rig together in less than two to three minutes and if you’ve been chasing these fish, you are probably quicker than that. Most of us among the crazy steelhead cult go out from dusk until dawn in attempts to encounter chrome, so why risk loosing such because of your own choices to be lazy and throw it out one more time, save yourself the frustration and take the time to re-tie. If it hasn’t happened to you, it will, unless you start to take the time change it out!!! Nice chrome reward for taking the time !! !